Bathgate Silica Sand has been established for almost 60 years and is part of the Bathgate Group. Our site in Arclid, Cheshire comprises a well established silica sand quarry, processing plant and onsite laboratory. At BSS we are committed to providing a professional and efficient customer experience. Arclid Transport specialise in the carriage of a wide range of bulk powders, granular raw materials and minerals. We have carried out powder haulage and road haulage services with a UK customer base including industries such as construction, foundry, pottery, glass, refractory, chemical, detergent and animal feed. 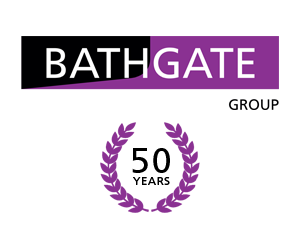 Bathgate Flooring is one of Europe's leading access floor manufacturers and the largest UK owned independent manufacturer, operating from a modern, purpose-designed factory with state-of-the-art production capabilities. With a national sales team and installer network we are able to manage projects across the UK. Bathgate Business Finance have been providing funding solutions for a wide variety of organisations since 1991. Originally set up as a leasing company, it has more recently developed and extended its services to include all types of asset finance, Invoice discounting & Factoring, commercial & property loans as well as offering bridging finance facilities. Databax provide a full range of hosting services incorporating our ‘wrap around’ Managed Services suite - multiple choice hosting and support options with ‘Always on’ power SLA’s to ensure the total protection of your critical business data, information, applications and web & e-commerce sites.